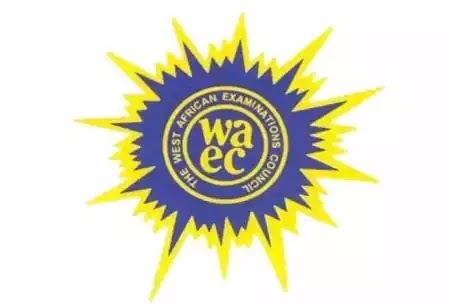 The West African Examinations Council (WAEC) Monday released the results for the 2017 West Africa Senior School Certificate Examination (WASSCE) recording an improvement in the performance of candidates who obtained credits and above in at least six subjects by 69.54 per cent as compared with the previous year. The Head of National Office (HNO) of the council, Mr. Olu Adenipekun, who briefed journalists, in Lagos, said out of 1,559,162 candidates that sat for the examinations with 829,853 males and 729,309 females, representing 53.22 and 46.27 percent respectively, 1,084,214 obtained six credits and above in six subjects. He said 1,243,772 candidates, representing 79.77 per cent obtained credits and above in five subjects and that 1,357,193 candidates, representing 87.05 per cent also obtained credits and above in four subjects. “Of the total number that sat for the examinations, 1,436,024 candidates, representing 92.44 per cent obtained credits and above in three subjects, while 1,490,356 candidates, representing 95.59 per cent obtained credits and above in two subjects,” he said, while attributing the success rate to hard work on the part of the candidates. The HNO said a total of 923,486 candidates, representing 59.22 percent, obtained minimum of credits in five subjects and above, including English Language and Mathematics, adding that the percentage of candidates in this category in the WASSCE for school candidates in 2015 and 2016 was 38.68 percent and 52.9 per cent, respectively. Of the total number of candidates that sat for the examination, Adenipekun said 1,471,151, representing 94.36 per cent have their results fully processed and released, while 95,734, representing 5.64 per cent have a few of their subjects still being processed due to errors traceable to the candidates in the course of registration or writing the examination. The results of 214,952 candidates, representing 13.79 per cent of the total number of candidates for the examination, the WAEC boss noted, are being withheld in connection with various reported cases of examination malpractice, adding that the cases are being investigated and reports of the investigations will be presented to the appropriate committee of the council in due course for consideration. “The committee’s decisions will be communicated to the affected candidates through their schools,” he added. Candidates who sat for the examinations, Adenipekun said, would be able to check the details of their performance on the its results website: www.waecdirect.org within the next few hours. “The result checker PIN and serial number are contained on the flip side of the candidates’ CIVAMPENS card issued to all candidates by WAEC, and used by them during the conduct of the examination,” the HNO said. He expressed delight over sthe coordination and marking of candidates’ scripts for the 2017 WASSCE for school candidates, saying that it was successfully held between May 24 and June 11,2017 at 83 marking venues across the federation. “We therefore wish to acknowledge and appreciate the immense contributions of our chief examiners, team leaders, assistant examiners and checkers during the marking exercise. We are also grateful to the schools that availed us the use of their facilities despite their other commitments and challenges,” Adenipekun stressed.